Is there anything lasers can't do? It's beginning to look unlikely, with researchers having now calculated the conditions under which a laser could act as a tractor beam. Long relegated to the realm of the hypothetical Hollywood fare, the tractor beam has been slowly inching its way towards reality for some time now, where beams of light are used to pull an object back towards the light source. 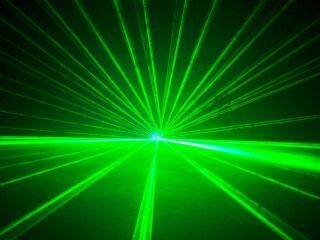 Last year, a team of Australian scientists used a hollow laser beam to move small particles through the air. Because this system requires air, it couldn't be used in space, making it nigh on useless, right? This latest development from a group of researchers in Hong Kong and China, would see a special laser, known as a Bessel beam, used to slowly drag an object back but only if the beam hits the object at an angle. Far from being able to transport a family of four from their back garden to the mothership hovering 500 meters above, however, the laser-powered tractor beam would only work over small distances. As the researchers Jun Chen, Jack Ng, Zhifang Lin and C. T. Chan wrote in their paper on the subject, "Light can indeed pull a particle... and this may open up new avenues for optical micromanipulation, of which typical examples include transporting a particle backward over a long distance and particle sorting." So, that clears that up then. Unfortunately, the latest development is all theory at present; we look forward to seeing the tiny tractor beam in action though - if this kind of technology could be rolled out commercially, we may never have to reach for the remote ever again.